So, to help you get over your cabin fever, your friends at Team Ford have taken the liberty of putting together a quick list of the coolest cold-weather attractions the city has to offer! Hawrelak Park isn’t just hosting the Ice Castles, they also host the ten-day long Silver Skate Festival in mid-February. The festival is described as a “True Canadian Experience,” featuring winter sports, activities, music and art for the whole family! Come see the snow sculptures, enjoy a horse-drawn sleigh ride, and visit the heritage village to see how people weathered the cold in the days gone by. Stick around to see the snowshoeing, skiing and skating competitions! There are also a few other winter festivals which have already passed us by for this year, like Deep Freeze: A Byzantine Winter Festival, and the Boardwalk Ice On Whyte Festival—but be sure to mark them on your calendars for next winter! If watching winter sports isn’t quite enough, Edmonton has plenty of space for you to go experience them for yourselves. Rabbit Hill, Snow Valley and Sunridge are all open for the winter season, with skiing and snowboarding. Sunridge even offers snow tubing for a slightly different experience! If downhill skiing isn’t your bag, you could go cross country through the River Valley, or even head over the Elk Island National Park and see the bison. Elk Island also offers beautiful natural spaces for snowshoeing and skating. Speaking of skating, there are also rinks around the city, plus the Rundle Park and Victoria Park IceWays, for a different sort of adventure. If you like to fish in the summer, don’t let the cold stop you! Some of those great summer fishing spots are just as good for a little winter ice fishing. Just 90 minutes from Edmonton you’ll find both Pigeon Lake and Lac La Nonne. A little further afield both Sylvan Lake and Gull Lake are considered prime ice fishing spots. If you’ve already got a regular summer getaway at the lake, why not enjoy a little winter fun in the same spot? If it’s a nice rural location where you’d normally go quadding, load up the snowmobile and head out into the backcountry! So there you have it! There’s plenty to get out and enjoy in and around the City of Edmonton, even when the temperature drops.  Before you set out, though, be sure to get your vehicle winterized with the help of your friends here at Team Ford. You should also consider adding some winter accessories to your vehicle; things like a roof rack or towing package might come in handy if you intend to head out on a winter adventure. Drive safe, and have fun out there!